(Peruvian Sage or Concolor Sage) Native to the high Andes of Peru, this is a distinctive Salvia with apple-green leaves that are smooth on top and silver-haired fuzzy on the bottom. 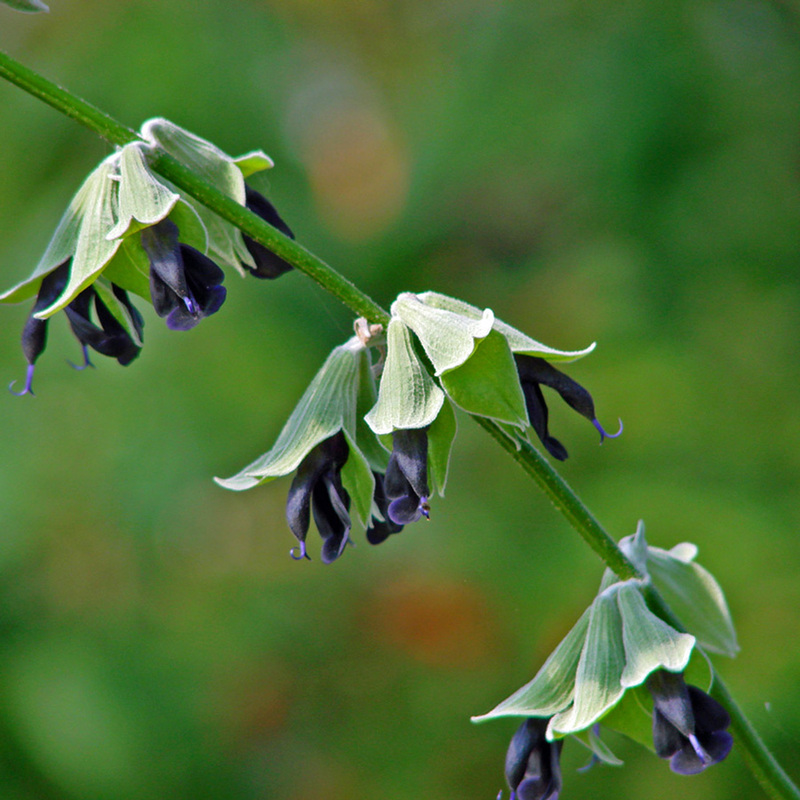 The flowers are such a dark purple that they almost look black. Large and showy, the flowers of Peruvian Sage -- also known as Concolor Sage for its bicolor leaves -- bloom from spring through autumn. They continue blooming during the chill of winter if kept in a greenhouse. 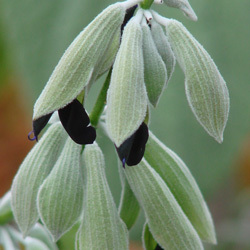 Peruvian Sage does best if watered regularly and given shade for part of the day, but cannot tolerate wet soils. The plant's wiry stems are scandent, which means that they climb upward like vines but without tendrils. 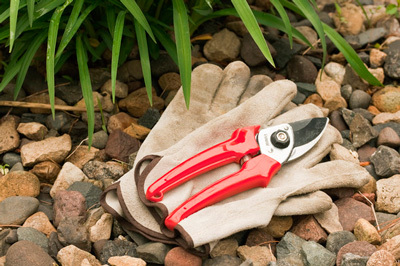 When planted in the ground, its stems arch and form ground cover. This dramatic plant looks lovely in a hanging basket or in a container with a light trellis or bamboo poles supporting its sprawling growth. Situate Peruvian Sage where it will delight you with its black currant fragrance that makes all seem well in the world. 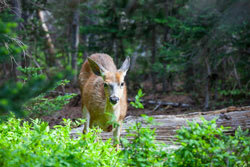 This is one of our favorite plants, and we are glad to report that deer don't seem to like it! Received the plant in great condition. I have bought mail order before. This is the best a plant has ever looked. Plant is great quality. No diseases or insects. (Chilean Mountain Sage) Formerly known as S. gillesii, this delicate-looking sage with dramatically deep blue flowers is robust in the garden. 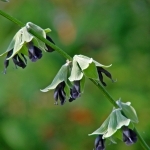 Its branches are draped with wooly grey foliage featuring rounded, toothed leaves that are pleasantly scented.